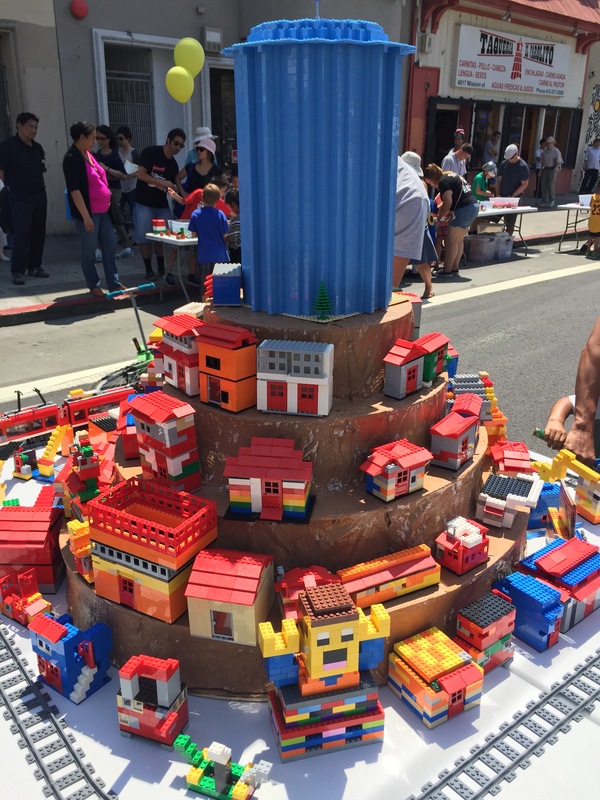 On Sunday, August 16th, families in San Francisco Excelsior District built their neighborhood out of LEGO as part of Sunday Streets San Francisco. 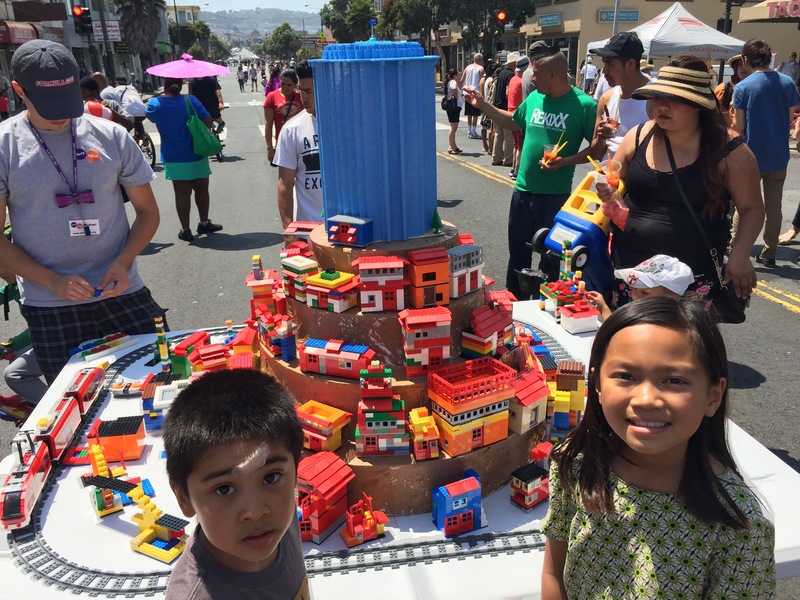 The Youth Art Exchange invited Play-Well TEKnologies to help build a replica of their district, including the famous Excelsior Water tower and the Muni line. Over 100 different houses were built by families as part of this day celebrating the neighborhood of Excelsior. Here are some of the pictures and videos of the day. If you’d like us to do a live build for your neighborhood or organization, check out our Special Events Page for details. Neighbors built a replica of their district out of LEGO. The Muni train has been added to the Excelsior District LEGO build. Another awesome, two-story building has been added. Last minute modifications before adding it to the neighborhood. Families are working hard to make their houses. So many extraordinary designs. This one displays the colors of Mexico. This house has a skylight roof area. Great sunlight. 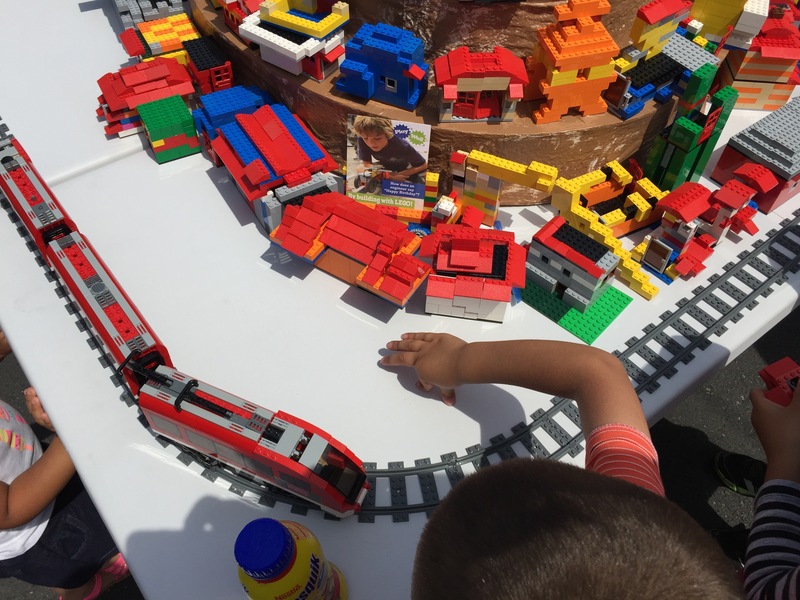 The Muni train is making stops at the LEGO Excelsior District. Such awesome matching on this building. Great use of the pyramid roof. The LEGO building is going only quite smoothly. We are almost there. Check out this crazy, cool LEGO Design. Kids are making train tunnels with their arms. Got to add special rocks to the Water Tower area. This child is excited to add on his creation to the neighborhood. That this is a LEGO House that resembles a LEGO. Spiderman even made a stop by the LEGO Water Tower. There is almost no more room for housing. Definitely a SF issue. Finally, it is complete. Over 100 houses added to the Excelsior District. Thanks so much for having us Youth Art Exchange!